I hate spaghetti. Okay, maybe I just hate ground beef, angel hair pasta, and a marinara sauce. To me, it's a little boring. So a few years ago, instead of sayin I HATE SPAGHETTI, I'LL NEVER EAT IT AGAIN!... I decided to switch it up and use different ingredients. 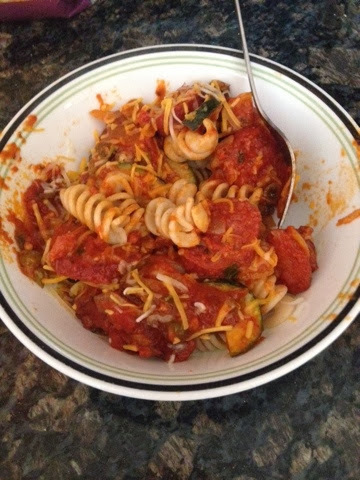 And after many tweaks and adding vegetables, Ariel's Better Than Spaghetti was born. It took me forever to get the ingredients down because I hardly ever measure. So, keep that in mind....sauce especially, if you like a lot of sauce- use a lot, if not...don't use a lot of sauce. 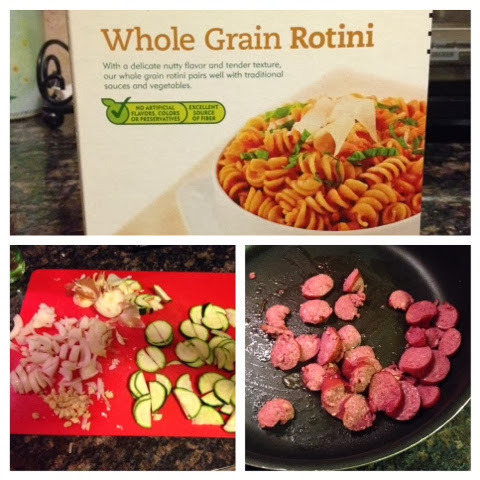 *i used Puttanesca sauce from fresh and easy, it is up to preference. 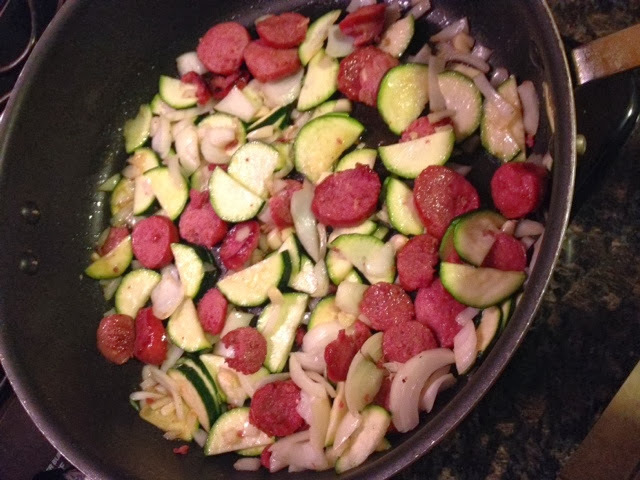 Heat garlic, zucchini and onion in the same skillet as the sausage until the veggies are tender. After 2-3 minutes, add the sauce. 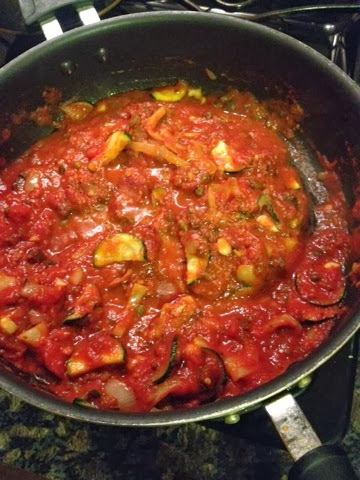 When you feel your sauce (and veggies) are perfection, pour it over the spaghetti. Previously, I've added chopped red bell peppers and onions, which was also delicious. I made some garlic cheese bread to go with it, because why not find a reason for it?